Fashionable women’s shoes online - Do You Speak Gossip?Do You Speak Gossip? My first stop, believe it or not was the flat shoes section, and I did find some great options there, as you can see by the pairs I chose to feature here today. Aren’t those lavender studded ballerinas to die for? And what about those brogues? I’ve been meaning to buy more flat shoes for my everyday life, and these are absolutely gorgeous. And there are so many options on the omgnb website. So you should totally go and check it out. Another category I would like to feature on this post today is of course boots. We’re already in winter, and the colds have started, and we all know how needed a few nice pairs of boots are for winter. I’m always looking for new pairs of low boots to buy, because they’re the ones I tend to wear more often in my everyday life. 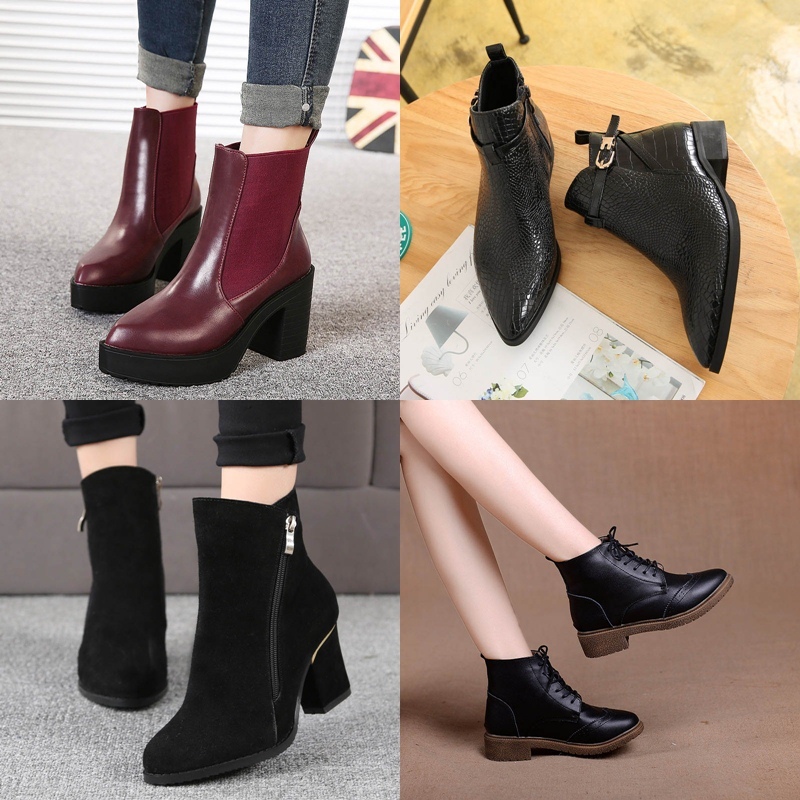 So of course I’m also looking for more low heeled ones to add to my collection, because if you know me, you know that I always go for high heels, not only in pumps and sandals, but also in boots. So I end up having a closet full of shoes, and no shoes to wear on my everyday life, when I’m looking for something more comfortable and easy to walk in. So you can imagine my excitement, when I ran into these fashion boots! So different to everything I already have in my closet. On the left side we have some more feminine pairs, with a nice low heel, and on the right side we have some more masculine ones, with stricter lines, and almost flat heels. To be honest, I’m flirting with the idea of adding some masculine pairs to my wardrobe, and change it up a bit. But I’m still wondering whether or not I should go for it. What do you think? The lavender ballerinas are so pretty!